James is the Director of the Whitaker Institute and is a senior lecturer in Strategic Management at the J.E. 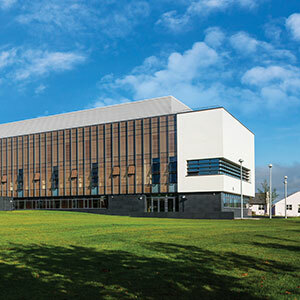 Cairnes School of Business & Economics. 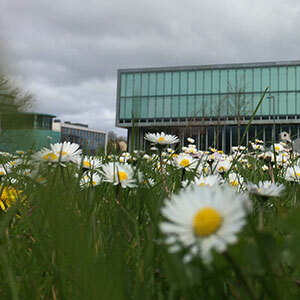 The Whitaker Institute is the largest scale critical mass business and social sciences research institute on island of Ireland. He previously held the positions as the Director of the Centre for Innovation and Structural Change, Executive MBA Programme Director and the Head of the Strategy Group at the J.E. 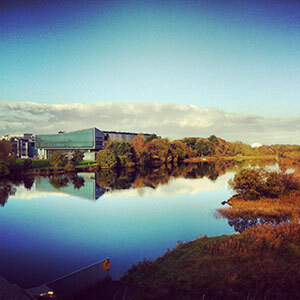 School of Business & Economics at NUI Galway. Prior to joining NUI, Galway James held a lecturing position in the Michael Smurfit Graduate School of Business at University College Dublin. Prior to this James worked as a strategy consultant. Awards for his research include three best paper awards at the British Academy of Management Annual Conferences (2002, 2005 and 2010), a best paper award at Technology Transfer Society Annual Conference 2011, a best paper award at the Irish Academy of Management Conference (2003) and his co-authored case studies have won national and international competitions. From 2009 to 2012 he was co-editor of the Irish Journal of Management a 1* ranked Associated Business School journal. He has also completed commissioned reports, acted as mentor for start-up businesses and in 2002 held a visiting Professorship at the Department of Management and Organization at Penn State University. James has delivered keynote nationally and internationally presentations, acted as session chair and facilitator at national and international academic and practitioner conferences, as well as delivering executive master classes on strategy development and crafting and implementing your research strategy. James was invited to join the Editorial Board of the Journal of Technology Transfer in June 2013 and is currently he is co-editor of a special issue of Technovation on the Micro Foundations of the Triple Helix with Professor Henry Etzkowitx, Standford University, Professor Vincent Mangematin Grenoble Ecole de Management and Dr. Conor O'Kane, University of Otago. My main research interests focus on strategy issues with respect to university technology transfer commercialisation, academic and technology entrepreneurship, entrepreneurial universities and principal investigators as scientific entrepreneurs and market shapers. (2009) Irish Management 2.0: New Managerial Priorities for a Changing Economy. (2006) Strategic Management of Technology Transfer: The New Challenge on Campus. (2011) Economic Impact Assessment: The Creative Sector in the Western Region - Future Growth Trajectories. (2011) Crisis and Growth in Ireland. (2009) Collaboration and Shared Service. (2004) Varieties of Excellence: A review of International Best Practice Pertaining to the Structure Activities and Responsibilities of Industrial Liaison Offices. (2001) Information and Communication Technologies in the Gaeltacht Areas 2001-2006. (2014) Capturing the regional economic benefits of entrepreneurial universities: an exploratory study of the United Kingdom, Technology Transfer Society Annual Conference, Baltimore, Maryland, 23-25 October. (2014) Technology Entrepreneurs New Venture Formation Activities in an Incubated Higher Education Environment, Technology Transfer Society Annual Conference, John Hopkins University, Baltimore, Maryland, 23-25 October. (2014) Business failure in Uncertain Environments, American Academy of Management Annual Conference. (2013) Strategic Choice of the Technology Transfer Offices: Strategy Makers or Strategy Takers. Technology Transfer Society Annual Conference, New York Academy of Sciences, 19-20 April. (2013) KIBS as Innovation Catalysts in Regional Triple Helix Spaces: Some Evidence and Insight from the Border, Midland and Western Region of Ireland. 5th Biennial Altanta Conference on Science and Innovation , Georgia Institute of Technology, 26-- 28 September. (2013) The Influence of Scientific Research Funding, National Innovation Policies and Institutional Level Supports on Academic Patenting. 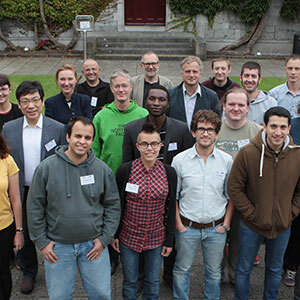 42nd Annual Conference of the Regional Science Association - British and Irish Section, Cambridge, United Kingdom , 20-22 August. (2013) Publicly Funded Principal Investigators Stakeholder Management and Managerial Challenges. University-Industry Interaction Conference, Amsterdam, 5-6 May. (2013) Institutional Variation Leading to University/Industry Technology Transfer: The case of Ireland, New Zealand and the United States. Technology Transfer Society Annual Conference , New York Academy of Sciences , 19 -20 April. (2013) Socio-Economic Impacts of Entrepreneurial Universities in two European Regions. Technology Transfer Society Annual Conference, New York Academy of Sciences, 19-20 April. (2013) Managerial Challenges of Publicly Funded Principal Investigators. Technology Transfer Society Annual Conference, New York Academy of Sciences, 19-20 April. (2013) Scientific Research Funding and Academic Patenting. 6th Annual Conference of the Academy of Innovation and Entrepreneurship, Oxford, United Kingdom, 29-30 August. (2013) Modelling the process of business failure using internal management perspectives. State of the Field Entrepreneurial Exit Conference, Ratio Institute, Stockholm, Sweden, 27-28 September. (2013) Alignment of Tax Planning Functions and Activities with Corporate Strategy. 22nd Annual Tax Research Network Conference, University of Exeter, 03-04 September. (2013) Enabling Factors in Becoming a Principal Investigator. Technology Transfer Society Annual Conference, Bergamo, Italy, 8-9 November. (2013) Entrepreneurial Universities and Regional competitiveness in United Kingdom. Technology Transfer Society Annual Conference Conference, Bergamo, Italy, 8-9 November. (2012) Technology Transfer Office Mission Statements. Academy of Management Annual Conference, Boston, 3rd -7th August. (2012) The Disconnect Between Business Plans and the Start-Up Process for Technology Entrepreneurs. Institute for Small Business and Entrepreneurship, Dublin. 7th-8th November. (2012) The Venture Formation Activities of Technology Entrepreneurs. (2011) Strategy Formulation in Technology Transfer Offices, American Academy of Management Annual Conference. (2011) Strategic Categorizations of the Principal Investigator in Publicly Funded Research Projects, American Academy of Management Annual Conference. (2011) Persistence and Flexibility of Publicly Funded Principal Investigators in Science, Engineering and Technology. Australia and New Zealand Academy of Management , Wellington, 7-9 December. (2010) Leadership changes in the turnaround process, British Academy of Management. (2010) Leadership in the Turnaround Process. (2010) Project Formation and the Motivation and Challenges of Principal Investigator Role in Publicly Funded Research, Technology Transfer Society Annual Conference. (2010) Turnaround Situations: Leadership Recognition and Response, British Academy of Management. (2010) Leadership changes in the turnaround process, Strategic Management Society. (2010) Leadership during the Turnaround Process, European Institute for Advanced Studies in Management. (2010) Academic Entrepreneurship: Addressing the Institutional Challenge, British Academy of Management. (2010) Academic Entrepreneurship: Through an Institutional Lens, Irish Academy of Management Annual Conference. (2010) Academic Entrepreneurship: An Institutional Perspective, Technology Transfer Society Annual Conference. (2010) University technology transfer in practice, Irish Social Sciences Annual Conference. (2010) The Process of Strategy Formulation and Implementation within Technology Transfer Office, Technology Transfer Society Annual Conference. (2009) University Industry Technology Transfer Policy in Ireland: Some Policy Challenges, Irish Social Sciences Annual Conference. (2009) Business Failure from a Managerial Perspective, Irish Academy of Management Conference. (2009) Academic entrepreneurship: An institutional perspective, 3rd Irish Social Sciences Annual Conference. (2009) University Industry Technology Transfer Policy in Ireland, Irish Social Sciences Platform: Social Science Research and Policy Making: Bridging the Divide. (2009) Top Management Leadership in the Turnaround Process: Leadership Recognition and Response, Irish Academy of Management Conference. (2009) The Role of Publicly Funded Principal Investigators in the Delivery of National Science, Technology and Innovation Objectives: A New Research Agenda, Irish Social Sciences Platform, 2nd Annual Conference. (2009) Strategy as Practice within TTOs. British Academy of Management Conference. (2009) Investigating the Impact of Organisational Identity on Strategic Reponses to an Exogenous Shock. British Academy of Management Conference. (2009) Academic Entrepreneurship: The Challenge for Policy Makers, Irish Social Sciences Annual Conference December. (2009) Strategy Process within TTOs: A New Research Agenda, Atlanta Conference on Science and Innovation Policy. (2009) An Investigation in Establishing How ERP Systems Can Create A Competitive Advantage for the UK and Irish Banking Sector, Irish Academy of Management Conference. (2008) Technology Transfer Offices; Current Challenges and Opportunities. Irish Social Science Platform. (2008) Business Failure in Entrepreneurial Firms. British Academy of Management Conference. (2008) Technology Transfer Office: The Challenge of Creating Value for Diverse Stakeholders. Irish Academy of Management of Conference. (2007) Strategy Absence in Culture Industries 29th Institute. Small Business and Entrepreneurship Conference. (2007) Strategy Absence in Culture Industries. Irish Academy of Management of Conference. (2007) Multi-Level Analysis of Organizational Decline and Recovery in Both International and U.S. Firms Symposium Paper,. Irish Academy of Management of Conference. (2007) Strategy Practice in A Diversified Global Food MNC. Strategic Management Society Conference. (2007) Strategy Absence in Culture Industries. Academy of Management Conference. (2007) Strategy Absence in Culture Industries: Some Evidence from the Independent TV Production Sector in Ireland, European Academy of Management Conference HEC. (2007) Multi-Level Analysis of Organizational Decline and Recovery in Both International and US Firms Symposium Paper, Academy of Management Conference. (2007) Strategy Absence in Culture Industries 29th Institute for Small Business and Entrepreneurship Conference. (2007) Strategy Absence In Culture Industries: Some Evidence From The Independent TV Production Sector In Ireland. European Academy of Management Conference HEC. (2006) A Framework for a Strategic Repositioning Strategy: A Case Study of Bulmers Original Cider. Irish Academy of Management Conference. (2006) Creating a Smart Business Network to Enable On-line Hostel Reservations. 2nd Smart Business Networks Putten. (2006) Knowledge Management in a Franchise-Based Business Network: Evidence from O'Brien's Sandwich Bars. Irish Academy of Management Conference. (2006) The Absence of Strategy: Some Evidence from the Irish Independent Television Production Sector. Irish Academy of Management Conference. (2006) Strategizing in a Turnaround Context: The Case of Dairygold Ireland. 26th Annual Strategic Management Society Conference. (2006) Unearthing the Strategist. European Academy of Management Conference HEC BI. (2006) A Framework for a Strategic Repositioning Strategy: A Case of Bulmer's Original Cider. The Irish Academy Of Management Conference Cork, Ireland. (2006) Strategising in a Turnaround Context’ British Academy of Management Conference. (2006) Unearthing the Strategist, European Academy of Management Conference. 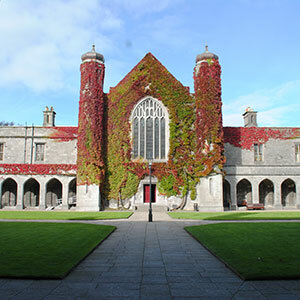 (2006) The Strategic Management of Technology Transfer: Key Challenges for Irish Universities. Atlantic Conference on Science and Technology Policy. (2006) Strategy Practice in a Diversified Global Food MNC. Irish Academy of Management of Conference. (2006) Unearthing the Strategist. American Academy of Management Conference. (2005) A Framework for a Strategic Repositioning Strategy: Lessons from Bulmer's Original Cider. Strategic Management Society. (2005) Case Study Hostelworld.com. 18thBled eCommerce Conference: eIntegration in Action. (2005) Strategy Turnarounds and Management Styles of Newly Appointed Leaders. British Academy of Management Conference. (2005) A Framework for a Strategic Repositioning Strategy: A Case Study of Bulmer’s Original Cider. (2005) Web Reservations International. 18th Bled eCommerce Conference. (2005) In Search of the Strategist. British Academy of Management Conference. (2005) The Strategist and Strategising. Irish Academy of Management Conference. (2005) Strategising and the Strategist in Growth Oriented SMEs. Institute for Small Business and Entrepreneurship, 28th National Conference. (2005) A Framework for A Strategic Repositioning Strategy: A Case Study of Bulmer's Original Cider. European Academy of Management Conference Munich, Germany. (2005) Strategic Repositioning. British Academy of Management Conference Oxford, UK. (2005) Strategic Repositioning: Lessons from Bulmer's Original Cider. Strategic Management Society Florida, USA. (2005) The Strategist and Strategising. (2005) Strategic Repositioning: Lessons from Bulmers. British Academy of Management Conference. (2005) Environmental Voluntary Approaches: The Irish Experience. American Academy of Management Conference. (2005) Environmental Voluntary Approaches: The Irish Experience. (2005) The Formation, Motivation, Skills, and Roles of the Strategist: The Case of Traveltec. 25th Annual Strategic Management Society Conference. (2005) A Framework for a Strategic Repositioning Strategy: A Case Study of Bulmer's Original Cider. European Academy of Management Conference. (2004) Environmental Voluntary Approaches: A Case Study of the Irish Packaging Voluntary Agreement, European Academy of Management Conference. (2004) Paths of Innovation in High Growth SMEs. Irish Academy of Management Conference. (2004) Free Riders and Environmental Voluntary Approaches. Business Strategy and Environment Conference. (2004) Benefits and Limitations of Participating in an Environmental Voluntary Approach. Corporate Social Responsibility and Environmental Management Conference. (2004) The Use of Strategic Metaphors in Cross-cultural Business Communication. American Academy of Management Conference. (2004) The Use of Strategic Metaphors in Cross-cultural Business Communication. (2003) An Organising Framework for the Implementation of Environmental Voluntary Agreements, EURAM SDA. (2003) Environmental Voluntary Approaches: The Irish Experience, Irish Academy of Management Annual Conference. (2003) A Study of the Micro Activities of Strategy Making: A Practice Perspective. British Academy of Management Conference. (2003) Innovation and Environmental Voluntary Approaches. Business Strategy and the Environment Conference. (2003) Strategic Thinking and the Strategist. Irish Academy of Management Conference. (2003) An Organising Framework for the Implementation of Environmental Voluntary Approaches. Corporate Social Responsibility and Environmental Management Conference. (2003) Strategic Thinking and the Strategist Irish Academy of Management Annual Conference, Graduate School of Business. (2003) A Study of the Micro Activities of Strategy Making: A Practice Perspective. (2003) An Organising Framework for the Implementation of Environmental Voluntary Agreements. EURAM Conference SDA. (2002) Strategic Metaphors: Avoiding Cultural Conflict-The Case Study Renault-Nissan Alliance. 22nd Annual International Conference Strategic Management Society Insead. (2002) Understanding the Strategist: The Strategist as a Corporate Bag Packer. SMS Mini Conference on Strategic Thinking. (2002) Atlantic Technology Corridor: Dynamic of Cluster Development in Ireland. (2002) Environmental Voluntary Approaches: Some Insights from the Irish Packaging Voluntary Agreement. (2002) Strategic Thinking in the Public Sector: Unfinished Business. (2002) Strategic Metaphors: Avoiding Cultural Conflict–The Case Study Renault-Nissan Alliance, 22nd Annual International Conference. (2002) Intercultural Communication and Strategic Metaphors as a Source of Competitive Advantage in Global Corporations: The Case of the Renault Nissan Global Partnership, ABC European Convention Business Communication across Contexts, Cultures and Continents. (2002) The Paths of Innovation in High Growth SMEs. 32nd EISB Conference. (2001) The Case for Managing Interculturality Ahead of Time at a Global Level: The Renault-Nissan Alliance. Irish Academy of Management. (2001) Strategic Metaphors and Cross Cultural Communications, 8th International Conference on Cross Cultural Communications. (2001) Commercialisation of Non-Commissioned Research in Ireland's High Technology and Food Sectors. Irish Academy of Management Conference. (2001) Barriers and Stimulants for Increasing Research Commercialisation Through Spin-offs and Intellectual Property in Irish Higher Education Institutions. (2001) Strategic Metaphors and Cross Cultural Communications. 8th International Conference on Cross Cultural Communications Baptist. (2001) Strategies for Increasing Research Commercialisation through Spin Offs. 31st European Small Business Seminar. (2001) The Case for Managing Interculturality Ahead of Time at a Global Level: The Renault-Nissan Alliance. Irish Academy of Management Conference. (2001) Boundaryless Clusters: Information and Communication Technology in Ireland. (2001) Barriers and Stimulants for Increasing Research Commercialisation Through Spin-offs and Intellectual Property in Irish Higher Education Institutions. 23rd R&D Conference. (2001) Flags of Convenience. Multiculturalism in Motion in the Workplace: The Case of Financial Shared Service Centres. 4th International Business and Economics Conference. (2001) Global Competition and its Impact on Cross Cultural Communications: The Case of the Renault Nissan Global Partnership. 2nd International Conference on Languages, Literatures and Cultures Micollac. (2001) Commercialisation of Non-Commissioned Research in Ireland’s High Technology and Food Sectors. (2001) Packaging Voluntary Agreements: A Case Study of Repak, An Industry Lead Initiative. Business Strategy and the Environment Conference. (2001) Boundaryless Clusters: Information and Communication Technology in Ireland. Irish Academy of Management Conference. (2000) Corporate Environmentalism: Does it redefine the firm?, Irish Academy of Management. (2000) The Strategic Application of Information Technology: A Case Study of Roadstone Dublin Ltd.. Irish Academy of Management Conference. (2000) The Strategic Application of Information Technology: A Case Study of Roadstone Dublin Ltd.
(2000) Global Competition and its Impact on Cross Cultural Communications: The Case of the Renault Nissan Global Partnership, 2nd International Conference on Languages, Literatures and Cultures. (1999) Innovation and Voluntary Environmental Agreements, 3rd Concerted Action on Voluntary Agreement. (1999) Corporate Strategy and the Environment: A Case Study of the Irish Grocery Retail Industry. Irish Academy of Management Conference. (1999) Corporate Strategy and the Environment: A Case Study of the Irish Grocery Retail Industry. (1998) The Paths of Innovation in High Growth SMEs. 21st ISBA National Small Firms Conference. (1998) Voluntary Agreements in Ireland - Preliminary Insights for the Theory of Collective Goods, Free Riding and Innovation. 1st Concerted Action on Voluntary Agreements. (1998) REPAK an Industry Led Initiative: Voluntary Agreement Approach to Environmental Management in an Irish Context, International Postgraduate Research Student Conference. (1998) Voluntary Agreements in Ireland – Preliminary Insights for the Theory of Collective Goods, Free Riding and Innovation, 1st Concerted Action on Voluntary Agreements. (1998) Telecommunications: A Basis for Competitive Advantage. Irish Academy of Management Conference. (1998) An Assessment of the Applicability of the Voluntary Approach to Environmental Management in an Irish Context. (1998) Strategic Outsourcing: Bond Energy and Strength. 3rd Dynamics of Strategy Conference SEMS. (1998) Telecommunications: A Basis for Competitive Advantage. (2008) Testing your Business Strategy, Do you really have a strategy?. Start Up Solutions Programme Technology Transfer Office. (2008) Management 2.0: Challenges and Implications. Innovation Seminar Series. (2008) Surviving and Thriving: Competitive Strategies. HPSU Skillnet - Sales and Marketing Strategies. (2008) The Challenges of Commercialisation and Technology Transfer. The Challenge of Sustainability, Speaker. (2008) Panel Member. Start Up Solutions Programme Technology Transfer Office. (2008) Irish Management 2.0: New Managerial Challenges for a Changing Economy. MBA Association of Ireland BT Headquarters. (2008) Commercialisation, Technology Transfer and Academic Entrepreneurship. Seminar Series School of Business. (2008) Entrepreneurship and Start-Ups: Some Key Issues. Campus Commercialisation Programme. (2008) Technology and Commercialisation Networks. Leaders Council. (2008) Commercialisation and Technology Transfer: A Strategic Imperative for Ireland. Southern Regional Assembly Conference. (2008) Assessing your Business and Commercialisation Strategy. Start Up Solutions Programme Technology Transfer Office. (2007) Developing Value Propositions that Exploits Intellectual Property: Aligning Business and Innovation Strategy. (2007) Vision and Value Propositions. Campus Commercialisation Programme Technology Transfer Office. (2007) Being an Indispensable Strategist. Vistage Seminar. (2007) University Business Interfaces: From Science to Growth. Executive Board of Directors and Research Council, IBEC. (2007) Effective Strategy Planning Processes. (2007) Commercialisation: Vision and Reality. Campus Commercialisation Programme Technology Transfer Office. (2007) Technology Networks: A Strategic Imperative for Ireland. Innovation Ireland: American Chamber of Commerce. (2007) Crafting your Business Strategy in a Start-up Context: Transform Programme. (2007) The Business Case for Innovation: Exploiting Intellectual Property and Building Sustainable Business Model. (2007) Testing your Strategy. Campus Commercialisation Programme Technology Transfer Office. (2007) Strategic Growth, Jumping the Innovation S Curve. Strategic Leadership Series Ryan Academy for Entrepreneurship. (2007) Making it a Lived Reality. Enterprise Ireland Support Mechanisms to Institutes of Technology to Engage in R&D Research Commercialisation/Technology Transfer Applied Research Enhancement Programme (ARE) Crowne Plaza Hotel, Santry Dublin, Ireland. (2007) Harnessing Sustainable Technology Transfer in Peripheral Regions. Borders Midlands and West Annual Conference. (2006) Crafting Business Strategy: Analysis and Choice. Enterprise Development Programme Enterprise Ireland. (2006) The Challenge of Technology Transfer: Making Technology Transfer a Reality. Support for Innovation Seminar Techlink, WestBIC, Border Regional Authority, The Western Regional Authority and Midland Regional Authority. (2006) Strategy Practitioners: Challenges and Roles in Public Reform. Reform of the Public Service - Strategy and Practice Dublin Chapter of the MBA Association of Ireland. (2006) Voluntary Agreements in Ireland: Ten Years On. Corporate Responsibility Research Conference. (2006) Unearthing Strategists: The Case of Hostelworld.com Lecture to Visiting Williams School of Commerce. Economics and Politics. (2005) Briefing Paper 'An Irish Perspective on the Lambert Review of University-Business Collaboration' for Higher Education and Business; Beyond Mutual Incomprehension. Fifth North/South Higher Education Conference. (2005) Strategists: The Darker Side of Strategy. MBA Association of Ireland Mini-Conference on Strategy as Practice: Linking Leadership and Strategy. (2004) Strategic Thinking and Strategy Formation. MBA Programme Waterford Institute of Technology. (2004) Varieties of Excellence: A Review of International Best Practice Pertaining to the Structure, Activities and Responsibilities of Industrial Liaison Offices. Strategic Technology Transfer Office Committee. (2001) Information and Communication Technologies Strategies for the Gaeltacht Regions. (2001) Application and Evaluation of Voluntary Approaches. Presentation to EU Commission. (2001) Growth Strategies and Networking. (2001) Strategic Evaluation of SMI in Ireland. Presentation to Strategy Research Seminar. (2000) Information and Communication Technologies in the Gaeltacht Regions. Department of Public Enterprise, Government Buildings. (2000) Barriers to Information and Communication Technologies. (2000) A Review of the Issues with Respect to the Commercialisation of Non-Commissioned Research in Ireland. (1999) The Celtic Tiger and its impact on the Irish Society. Invited Lecture. (1999) Government Reform and Change Management in Irish Port Administration. Workshop on Teaching and Tools and Learning Approaches. (1999) . Ph.D Seminar on Strategic Management and the Environment Limburgs. (1999) Linking Corporate Strategy to the Environment. Invited Lecture RAMAPO. (1998) Business Games Simulations. Invited Lecture Technology Enabled Learning. (1998) Strategic Outsourcing in the Irish Retail Sector. Invited Lecture IPIRL 2000. (1998) Strategic Management and the Environment. Invited Lecture Department of Environmental Studies. (2008) Business strategy expert speaks. Irish Current Law Statutes Annotated, Dublin: Thompson/Round Hall. (2007) The Future of Ireland Inc.. Irish Current Law Statutes Annotated, Dublin: Round Hall/Sweet & Maxwell. (2007) Galway companies short-listed for Gaeltacht awards. Service of Peace, Cork: Mercier Press. (2007) Learning the Business. Irish Current Law Statutes Annotated. (2007) The Art and Science of Crafting Business Strategy. Trócaire. (2006) Universities 'need to improve links with industry'. The Western Law Gazette. (2006) Effective Business Planning. An Cosantoir Review. 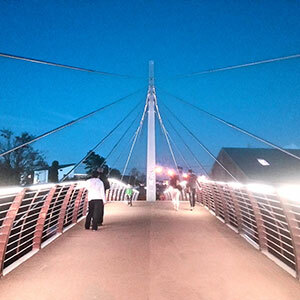 (2006) New Pathways to Prosperity: A National Innovation Framework for Australia. Occasional Paper, ACSI Occasional Papers Series. (2006) Transfer Window. Irish Law Times. (2006) Technology Transfer needs funding: academics. Irish Criminal Law Journal. (2006) The Challenge of Developing University-Business Collaboration. Dli, The Western Law Gazette. (2006) Tech transfer not returning investment, say academics. Proceedings of the Annual Meeting of the Canadian Council of International Law. (2006) Research will Help Business to Compete. Irish Current Law Statutes Annotated. 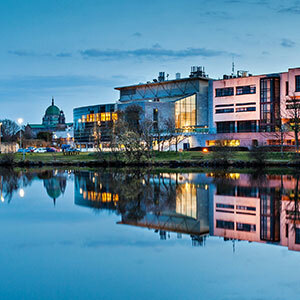 (2006) Sustaining Ireland's Economic Success: University Research as Innovation's Golden Goose. Irish Current Law Statutes Annotated. (2005) The Benefits of MBA - Executive MBA. Canadian Lawyer. (2005) Linking Strategy and Leadership. (2002) Getting Your Business Forecast Right. Inroads. (2008) U2: Keeping the Rhythm Alive. (2004) Hostelworldcom: Web Reservation International. (2003) Strategic Business and Technology Management, Atlantic University Alliance. (1999) Government Reform and Change Management in Irish Port Administration, European Case Clearing House. (2009) Innovation Taskforce Submission, Centre for Innovation and Structural Change. (2009) Harnessing Ireland's Potential as a European and Global Centre of Ocean Technologies. (2006) Managers Not MBAs: A Hard Look at the Soft Practice of Managing and Management Development, Irish Journal of Management. (2014) Fostering University-Industry R&D Collaborations in European Union Countries. Whitaker Institute Working Paper no. 42. (2011) Innovation: The Challenge of Building and Adaptive and Innovative Society. International Centre for Local and Regional Development, ICLRD Briefing Paper Series No 8. (2011) Motivations and Challenges of Life and Physical Science Publicly Funded Principal Investigators, Centre for Innovation and Structural Change Working Paper Series No. 40. (2011) Glorified Administrators or Eminent Research Leaders: The Inhibiting Factors that Publicly Funded Principal Investigators Experience in Leading Collaborative Research Projects. CISC Working Paper, no. 41. (2009) The Irish National Innovation System - Structures, Performance and Challenges, Centre for Innovation and Structural Change Working Paper Series No. 30.